Sri Lanka's diversity of terrain provide the opportunity for amazing treks and hikes, especially in the Central Highlands. Trekking and hiking through the paddy fields, tea plantations, spice gardens, waterfalls, streams, dense forests, hills and mountains of the tropical island of Sri Lanka brings about a unique experience that cannot be obtained any other way. The district of Kandy offers numerous treks. 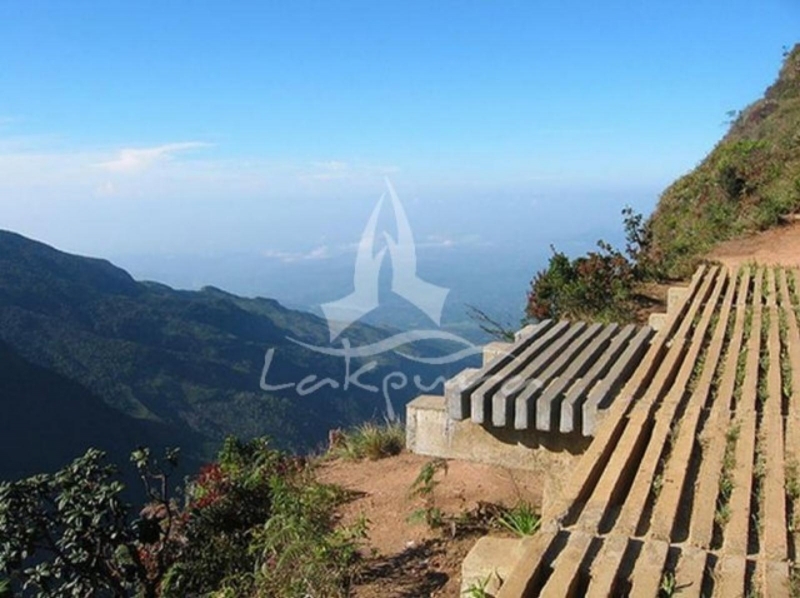 The medieval Buddhist temples of Gadaladeniya, Lankathilake temples and Embakke shrine are interconnected with footpaths that bring about scenic landscape. The trek from Ihalakotte Railway station to Dodanwala Devale shrine falls through forest reserves, Alagalla Mountain, tea estates and traditional Kandyan villages. 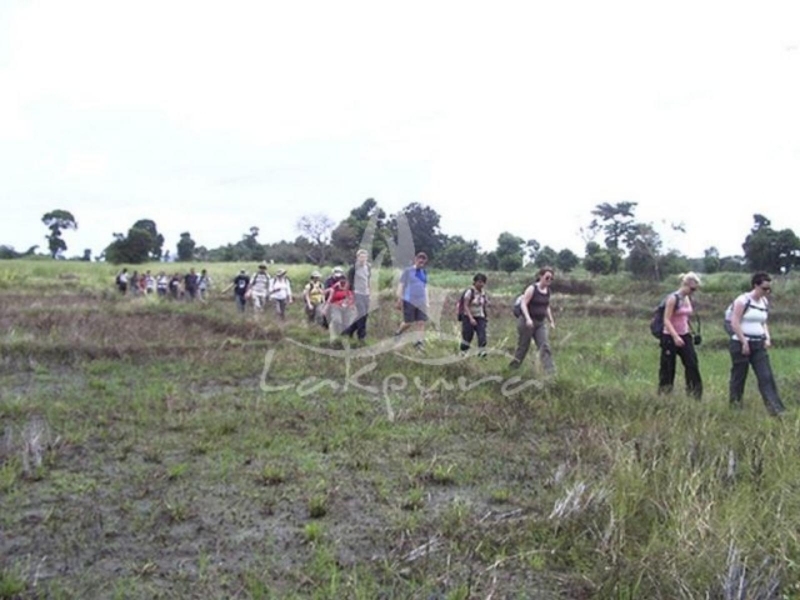 Hanthana hike, Alagalla Mountain trail, Bahirawakanda hill and Udawattakelle Forest Reserve are the most popular trails. Knuckles Mountain Range as its name suggests, is formed in a shape of a human fist. Spreading over 234 sq km and bordering the Kandy and Matale Administrative Districts, Knuckles Mountain Range that consists of about 35 mountain peaks rising over 915 m is one of the most picturesque trekking and hiking sites of Sri Lanka. Though it isn’t very popular or recommended due to many leeches and extended duration. There are two main areas of access to the knuckles Mountain Range. The access point from the northern flank to Knuckles Mountain Range is Riverston; in the south eastern flank are Deanston and Meemure. 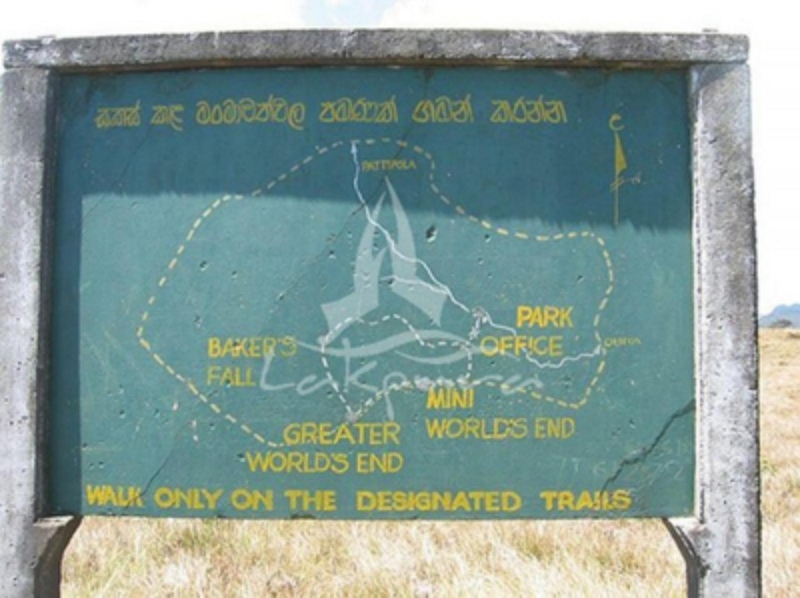 The trails of the largely untouched and rugged terrain are Pitawala pathena trail, Alugallenna trail and Nitro Cave Trail(though it isnt mostly followed),the trail to the 5 peaks; Dothalugala trail and Mini World’s End (via Deanstone forest office). You can also go to the mostly visited rural village is Meemure which boasts a lot of other trails and crystal clear water streams in the Knuckles range. Ash Cave, a pre historic cave in the forest is a lovely site to enjoy camping. Nitro Cave is a large cave hidden deep inside the forest. These trails that are interconnected with the footpaths leading to cardamom gardens, Kithul palm groves and tea plantations are rich in birdlife. 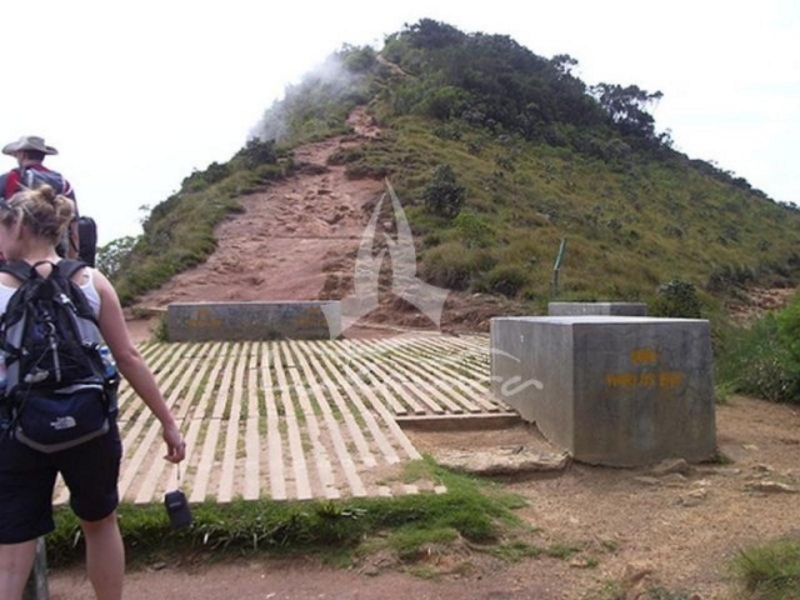 The other popular trekking trails are Kinchigune Trail, Hawagala Trail, Samanalawewa Trail & Belihul Oya – Ohiya trail via Devils’s Staircase. Two streams Belihul Oya and Kiriketi Oya that flows down from Horton Plains conjoin at Belihul Oya creating a natural pool of purest water. Ohiya of Central Highlands is a fine starting point for many treks. The trek to Bamarakanda Falls, the tallest waterfall in Sri Lanka that takes 8 hours begin at an altitude of 1790 meters falls to 1200 meters runs through the lush green highland mountains, misty falls, and streams. At the summit of the lovely waterfall is another smaller waterfall with a large pool in a scenic background. The hilly country is like the twin city of Kandy. Immensely beautiful and picturesque the high altitude allows for the growth of the world renowned ceylon tea. 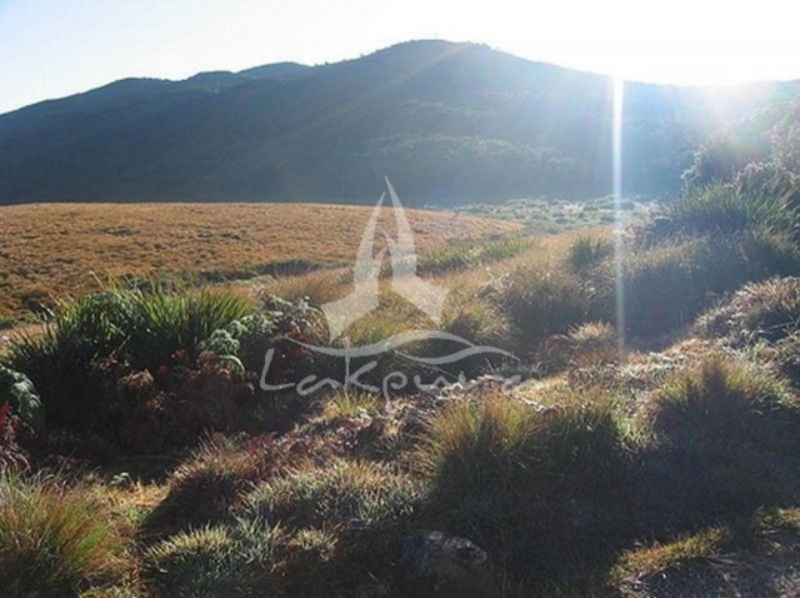 This beautiful & varied terrain is great for hiking and trekking as well. 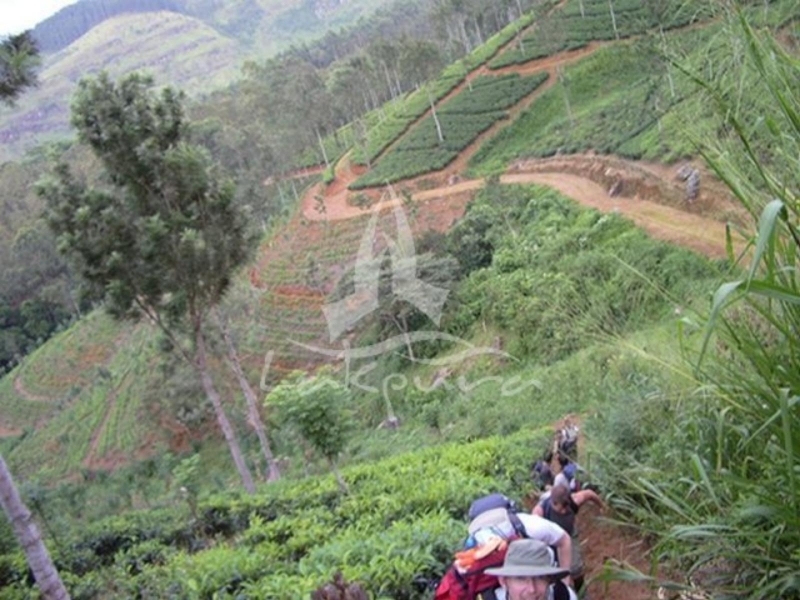 The Adams’ Peak trail is also very well known among adventure savvy hikers as a very beautiful and calm path to travel on. Sinharaja Rainforest that consists of a series of ridges, valleys and mountain peaks offers several trails interspersed by tumbling waterfalls and streams for hiking and trekking. Also home for a vast number of fauna and flora of which, many are endemic. 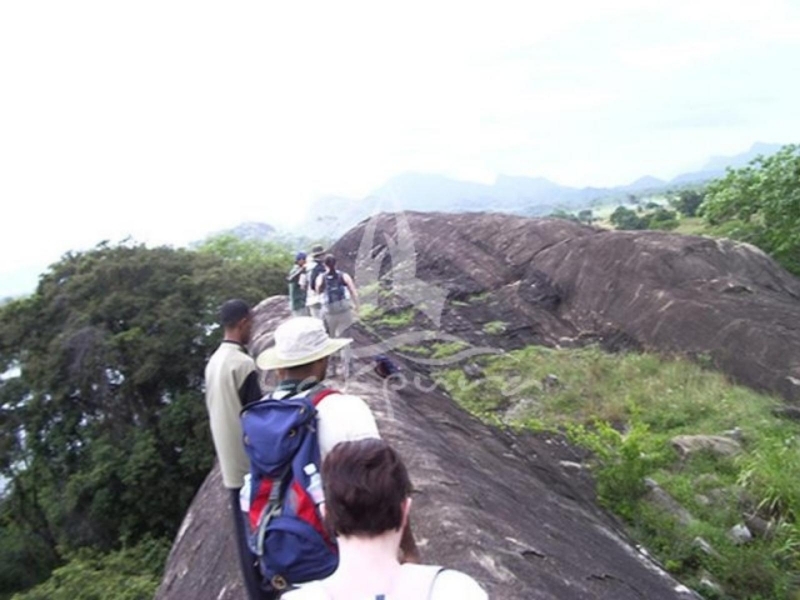 Hiking and trekking in Pidurangala Rock near Sigiriya, trekking in Ritigala Hills and Mihintale hills are taken up by the ardent nature trekkers while visiting the cultural sites of Anuradhapura, Mihintale, Polonnaruwa, Sigiriya and Ritigala. Wide brimmed hat to have shelter from the tropical sun, sunglasses, sun lotion. Insect and leech repellent, personal effects for warm, windy, rainy conditions, light weight clothes, trekking shoes or boots are recommended. Long trousers and a shirt with long sleeves rather than shorts and t-shirt would be handy to minimize scratches from the bushes, branches of trees in order to avoid sunburn and to minimize scratches from thorns. 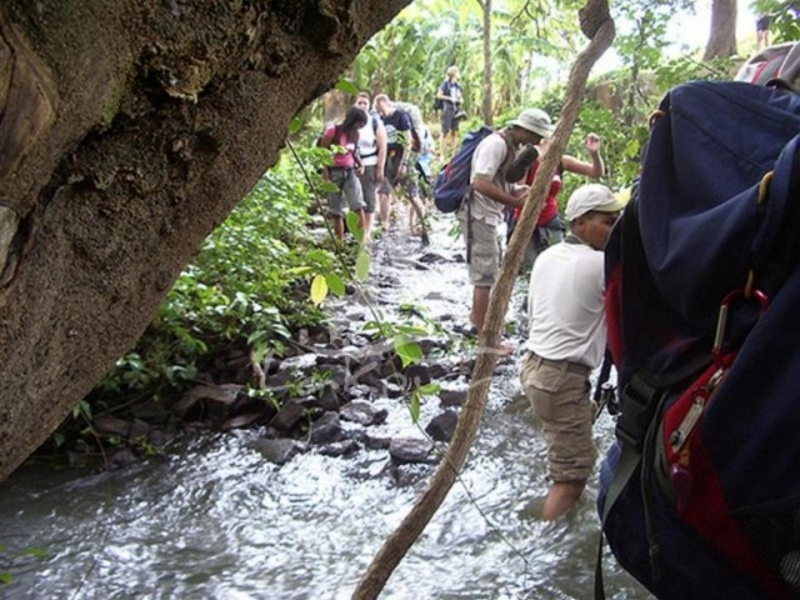 While trekking and hiking in rain forests tobacco, soap, salt or lime could do well to get rid of the leeches that hang onto the legs. Having a flashlight / Torch is also a must.